Welcome to my research lab’s webpage. As an applied psychologist, I use empirical research methods to better understand the needs of children and families, and to arm professionals and policy makers with this knowledge so as to better address the needs of the most vulnerable. 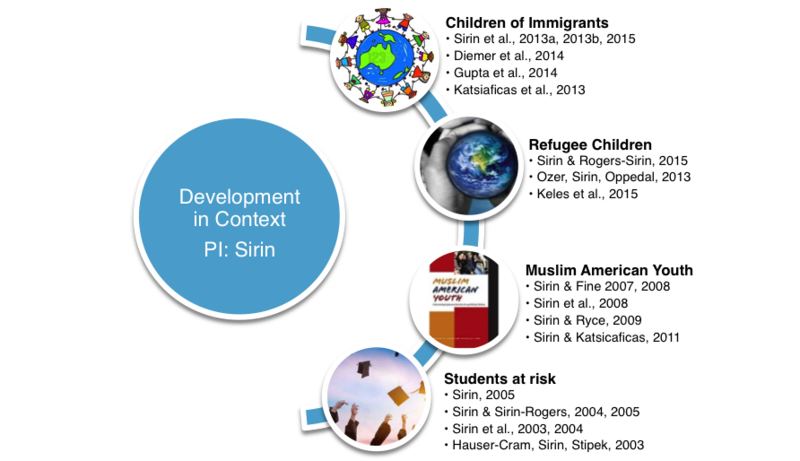 As summarized in the figure below, the goal that unites all of my work is to enhance the lives of marginalized children using development in context as a general framework. I focus on immigrant children in New York, Muslim youth in the US, refugees in Turkey and Norway, and students at risk in US schools. In these pages you will learn more about my academic work and meet with my incredible team.